«Although Syriac art is not intended to occupy an important place in the history of art, there will be an interest one day to collect its paintings. What will result is an interesting annex to the history of Byzantine art», wrote Ernest Renan during his stay in Lebanon in the XIXth century. This judgment concerns the beautiful frescoes that adorn the many medieval churches in Lebanon, which are still unknown to the general public. 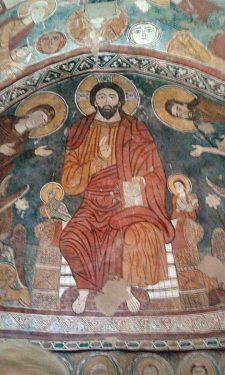 It was not until the last decade that theseְ works of art have attracted the interest of historians and researchers and some churches and frescoes were restored. The medieval churches are thirty of which are divided into two categories: the churches built by the standards of Western architecture and located mainly on the coast and village churches of local traditions with a simple architecture and without domes. 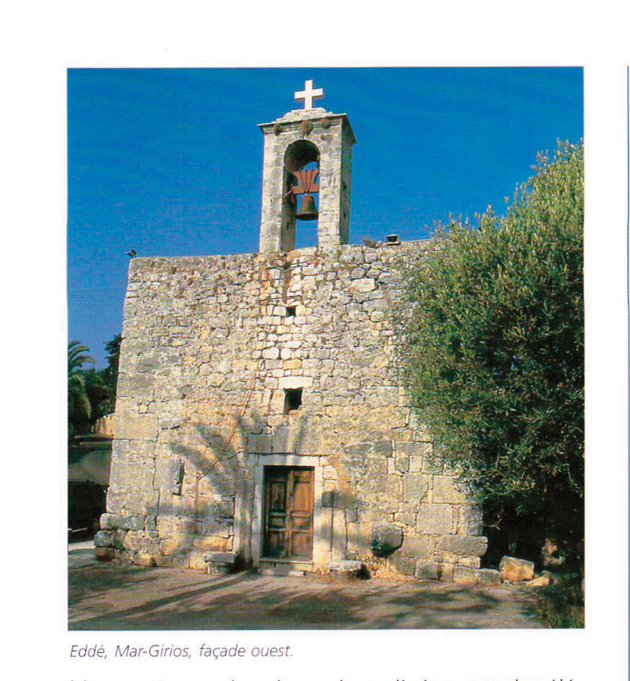 We find particularly the latter churches in the mountains of northern Lebanon, in the region of Byblos and Batroun. They are of great architectural beauty with exceptional frescoes. This church is dedicated to Mar Charbel of Edessa who was chief of pagan priests. After he converted to Christianity with his sister Babai, they were martyred at the time of the Roman emperor Trajan (second century). This church houses remains of different historical eras. It is a perfect example of superposition of archaeological eras of Phoenician, Roman and Byzantine (Vth century). Destroyed and rebuilt during the Crusader period (XIIIth century), it was again restored in 1723 by a Maronite priest. The space currently used as a museum with Roman columns and capitals, Byzantine mosaics, well and pagan altar, Greek inscriptions and a tombstone of Crusader adorned with rosettes and intertwined that could belong to the grave of Jeanne Kabans, daughter of a German nobleman crusader! But the most impressive are the frescoes that adorn the three naves with barrel vaults. The centerpiece is the Dormition of the Virgin, which includes the twelve apostles, one can admire the frescoe of a priest wearing a miter and Latin Archangel St. Michael representing the Last Judgment. The style of these frescoes is Syro-Byzantine of the XIIIth century. The saints in black encircled eyes gaze toward eternity. Christ carrying a child, the soul of the Virgin Mary and the Dormition symbolize rebirth to eternal life. According to historian Nada Helou, the characters share side of the window containing St. Charbel relics represent the Emperor Constantine, the first Christian emperor and his mother Empress Helena. Note that the restoration of these wonderful frescoes was done by the Association for the Study and Restoration of Lebanon Medieval Frescoes (AERFML) and the financial support of Philippe Jabre Association. Mar Charbel Church in Maad, Dormition of the Virgin. Photo: Archives Effat Kanaan Abou Assaly. Western facade of St George church in Edde. Photo: Archives Effat Kanaan Abou Assaly. It was built entirely with materials of a great Roman temple by the Byzantines, and enlarged in the Middle Ages by the Crusaders who consolidated the facade by inserting fragments of columns. The thickness of the walls and the size of the stones are impressive. Ernest Renan unsealed the lintel of the entrance to the church and sent it to the Louvre museum. It was engraved with a globe surrounded by snakes. The church yard completely restored by Roger Edde, is sprinkled with ruins and columns from the Roman era. Not far away stands the small chapel of Mar Mama, mediator of the youth and marriage, built in the early IXth century; it is typically a village church by its simplicity and deprivation. However it is constantly visited by pilgrims who present their gifts and light candles. St Theodor church in Bahdidat. Christ. Photo: Archives Effat Kanaan Abou Assaly. The frescoes of this church date back to the mid-thirteenth century, are remarkable because they tell the story of salvation through the Old and New Testament. 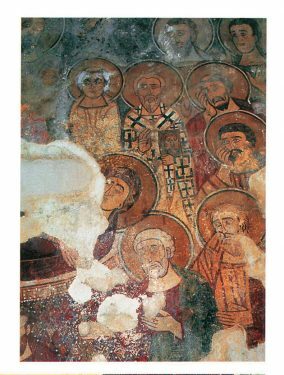 Of Syro-Byzantine style, this is the most comprehensive set of Lebanon church frescoes. Also with Syriac inscriptions, the arc of the apse includes both sides of the Annunciation, the Angel Gabriel and up Jesus and the prophets. The whole is crowned by the divine hand of God. 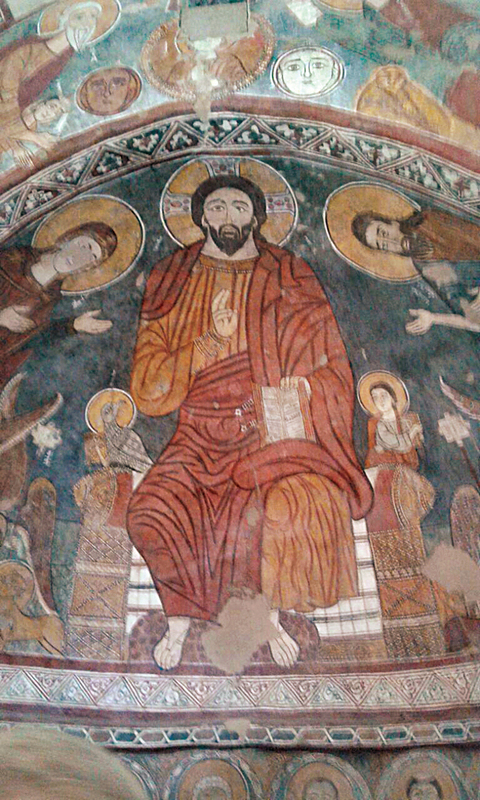 At the center of the apse is the Pantocratar Jesus sitting on the throne. He is surrounded by Virgin Mary, St. John the Baptist and the four evangelists and their symbols Marc the lion, the eagle John, Mathew the angel and Luc the bull. Below the decorative frieze are lined the twelve apostles. 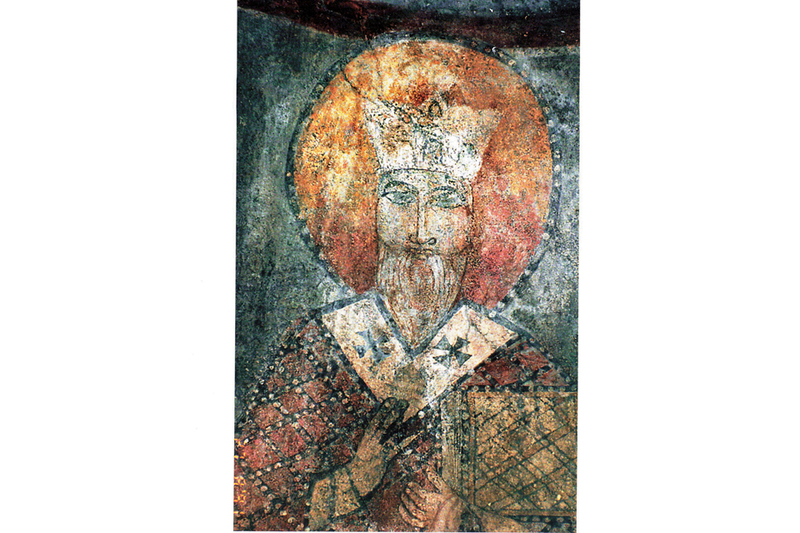 The side walls are decorated with frescoes of St Theodor and St George, both very popular riders saints in Mount Lebanon and the coastal cities. They are the defenders and protectors of the faithful and their property as well as healers. These admirable frescoes have been recently restored by a Lebanese-Italian team. The painted décor of many churches resisted little to the damage caused by nature and vandalism. Anyway the development of mural art in Lebanon dates back to the XIIIth century and often seems to go back to Byzantine iconography with a Syriac influence. This very special art requires great skill in layers overlay technique to allow the painting to last. Fortunately in recent years has grown considerable awareness for recovery and research, and public awareness to this long neglected heritage. Work research and restoration are conducted by institutions and universities. Raising money from patrons for the restoration, conservation and protection of this wonderful heritage are highly appreciated. These famous frescoes from the Middle Ages still to be saved will significantly enrich the iconographic and stylistic repertoire of Lebanese paintings. Castles and Churches of the Middle Ages in Lebanon Levon Nordiguian and Jean-Claude Voisin.